I have no idea what this show is, but I have no desire to find out. You will be analyzing the design behind the blocks in your assigned level. Your essay must be 600-700 words long. It must be double-spaced, in Times New Roman. Your essay must be in MLA format. So far, pretty standard stuff. I hate word minimums/ maximums because I like to finish writing when I’m done and hate having to add unnecessary stuff or take away stuff I thought was good, but at least it’s business as usual thus far. But what’s really bad is the prompt. In school, you can’t write about whatever you want. I have to write about a game that a million people have already written whole books on, and you’d better believe the topic about a game that’s already been covered to death will be one of the most mundane topics you could choose. 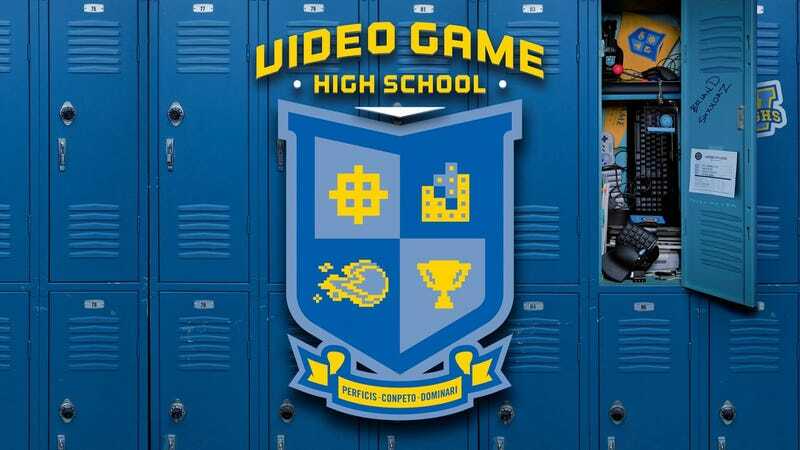 You will all be assigned digital copies of the game to be used on your school 2DS, which you will not take out of the school without signing a sheet. This is why having a “video game class” with the half-baked ideas that I had as a kid are a complete joke. How in the world would you assign a video game when everyone owns different systems. I finally thought of these certain schools (I haven’t gone to any of them) that pass out these crappy tablets out to students that have all kinds of filth on them from being used by so many gross teenagers for years. And we’re not talking about the New 2DS XL. We’re talking about the original, clunky-looking, tablet... thing that the original 2DS resembles. And that’s not all. These 2DSs (is that the plural of 2DS? I’ll probably get points taken off for incorrect grammar.) would probably have all kinds of issues. The touchscreen doesn’t work. The screen has some issue where not all of the pixels light up. And God knows the stylus will be missing. In general, the hardware will be crappy, because it’s a school budget. Use the standard capture device listed, and incorporate no less than three context-appropriate screenshots to the essay. You know how teachers love to give students quote quotas? (hehehe) Well, since it’s hard to quote a game with no dialogue, the next best thing is screenshots. Your own screenshots. And you have to have the right number of them in your essay or lose points. Of course, the hardware for capturing and recording will be awful if provided by the school, and you might write something that requires more or less than three screenshots, but oh well, you’ve got to follow the prompt. Create a Works Cited page. Because of course we need a works cited page. How to cite a video game will be an entirely new level of pain. Who knows? Maybe I’m just being cynical and a video game writing class would be great. If the class has a good teacher, I definitely believe it could happen. And, despite how it might seem in this article, I actually love English classes. I just think that some of the requirements for essays are a little silly, and whenever my school tries to use technology, it always goes horribly, horribly wrong. But, at any rate, I’m having enough fun as it is just writing about video games on my own, without any teacher constricting what I can and can’t write. I enjoy the creative freedom it gives me, and I don’t think I would want that to be taken away from me, even if I got school credit for it. The first essay I wrote on this site was actually adapted from a school essay where I could write about anything I wanted, and you can definitely tell that it has that typical “high school” writing style.